Use the email and password provided to you via email by D&B Grocers to login. If you forget your password, you can use the “Forgot Password” link thats located on this screen. 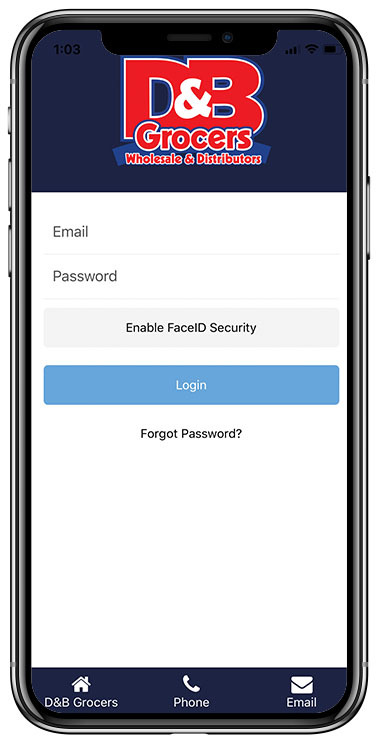 For iPhone users, you can use the FaceID or TouchID feature for quick login. 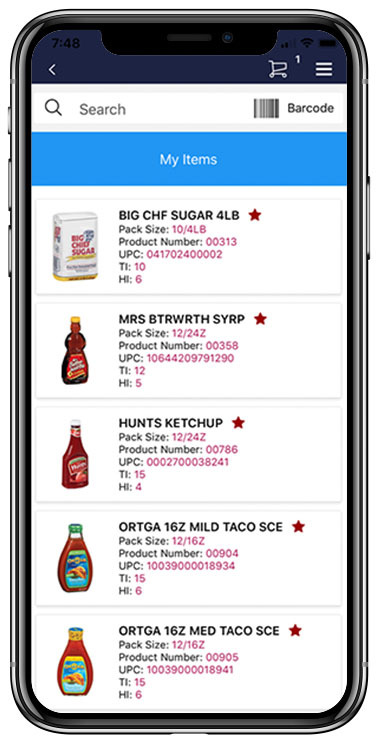 You can login online at https://portal.dandbgrocers.com or download the app on iOS or Android. The first page you will see is “Featured Products.” These are all the products with special pricing available. To add them to your cart, select the quantity and click the “Add To Cart” button. 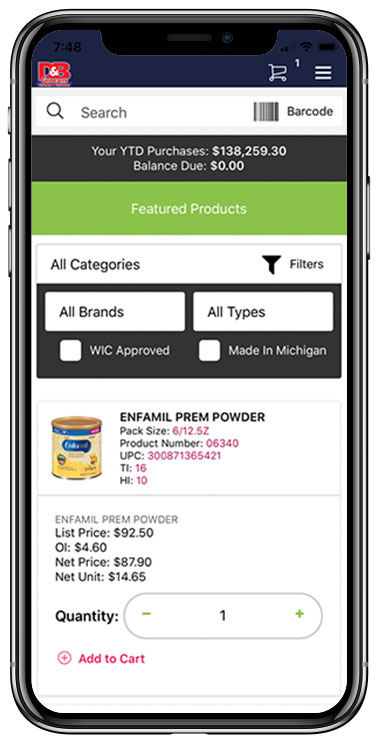 You will notice a Filter menu on the top of the Featured Products & the All Products screen. Using the drop-downs, you can select specific brands and categories to narrow your search results. In addition, you can always search a product using the Search bar found on the top of the page. 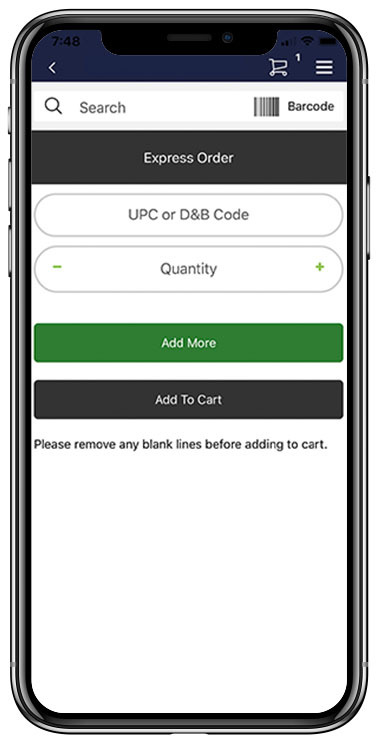 Express order is a great feature for those customers who have a Barcode Scanner or know the D&B codes they wish to order. Simply scan or Input the D&B Code and select your quantity. 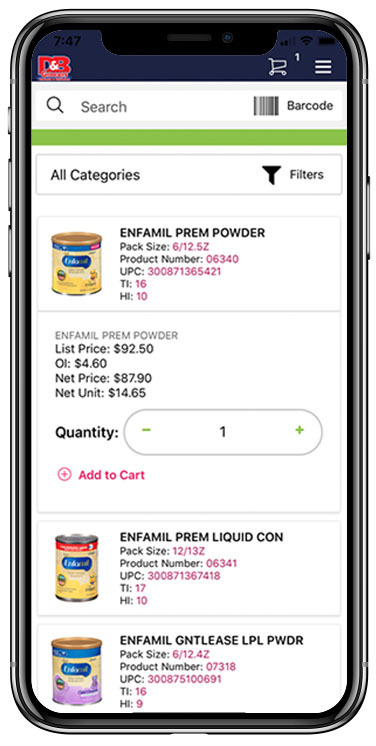 Upon adding all products you wish to order, simply click “Add to Cart.” One thing to remember, when you get to the last item, because we automatically add a new line for quicker use, please remove empty lines before Adding to Cart. This tab is a convenient feed to see the last items you have ordered. 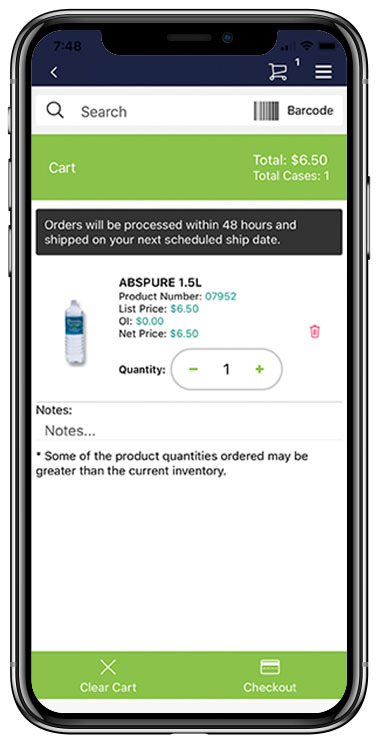 From this tab, you can quickly add orders to your cart for re-order. On the checkout screen, you will see all the items you have requested to purchase. 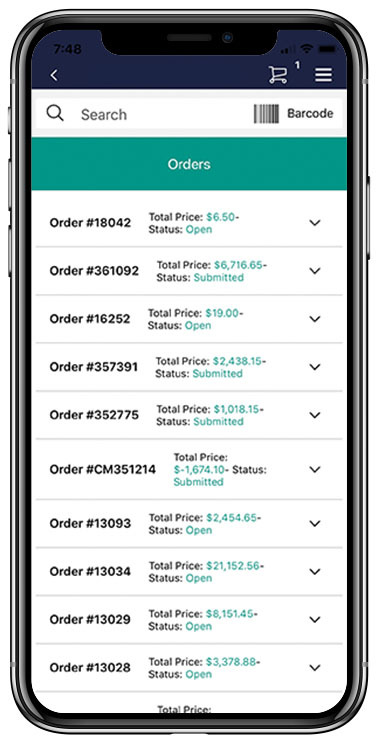 On the top of the screen, you will see the Total cases requested as well as the Total price for your order. You can adjust the item quantity as well as delete the item using the red trash can item. 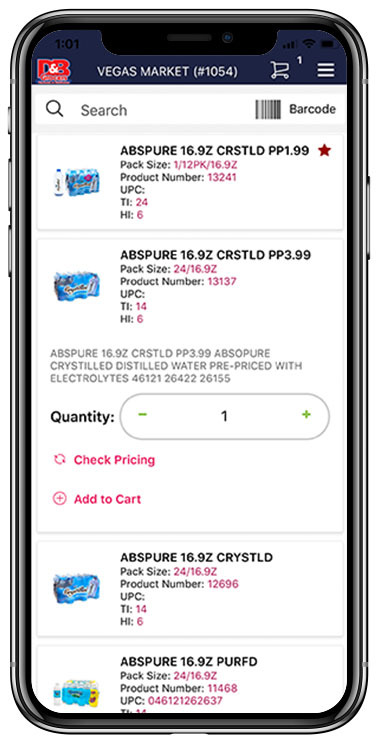 Once you confirm everything is correct, simply click the Checkout button on the bottom right of your device. This tab will show you all your past orders, and where current orders are in process. Orders are updated daily.